Late fall and winter are the ideal seasons for pears, that juicy and sweet fruit, so this Pear and Greens Salad is a wonderful way to use fresh fruit at its peak. It's an ideal recipe for Thanksgiving or Christmas dinner. Prepare the pears and toss the salad with the dressing just before serving. You'll love the combination of tender and slightly bitter greens with a sweet celery seed dressing, juicy and tart pears, blue cheese, and toasted walnuts. This recipe is very simple but tastes like something you'd get at a fancy restaurant. Look for pears that are firm yet give slightly when pressed with the fingers. There should be no bruises or cuts on the pears. Since pears turn brown quickly, prepare them just before serving. You can sprinkle a little lemon juice over the pears after they are sliced to slow down browning. Combine the oil, vinegar, sugar, celery seed, salt, and pepper in a jar with a very tight lid. Shake well until sugar is dissolved and the dressing is blended. Set aside in the refrigerator. 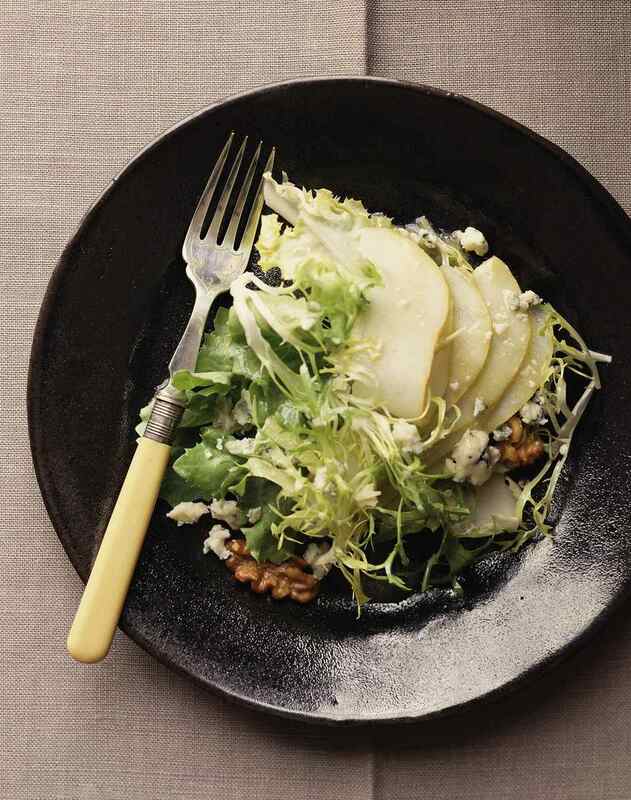 When ready to eat, combine the butter lettuce, frisée, pears, walnuts, and blue cheese in a large salad serving bowl and toss gently. Then pour dressing over, tossing to coat.